This swarm of small animals was photographed in waters near the Poor Knights Islands, in northern New Zealand. Most of these are salps, transparent barrel-shaped creatures that are closely related to sea squirts. 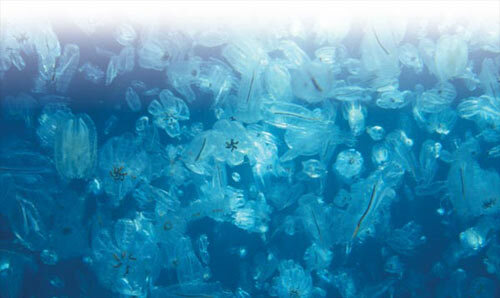 Salps reproduce rapidly when there is plenty of phytoplankton to eat.